Haystack a new tweak came out to port the iOS 10 Control Center to iOS 11. 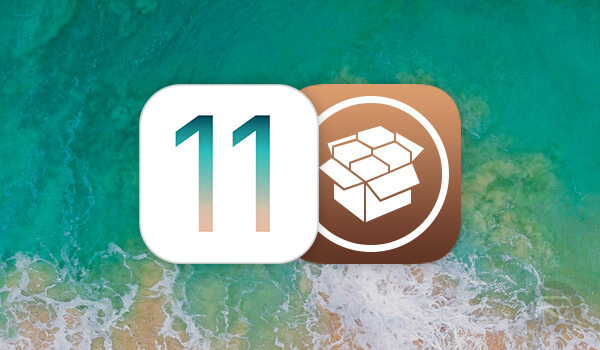 Download Haystack for your iPhone, iPad, and iPod running iOS 11 below. As the last iOS version is iOS 11 so almost everyone likes the new iOS 11 OS but there are still some people who still prefer iOS 10 control center. In this post, you can use your iOS 11 and still get iOS 10 control center. Unfortunately, Apple has removed all older code and there’s no way to get that Control Center layout apart from downgrading. This is where this new tweak comes in. 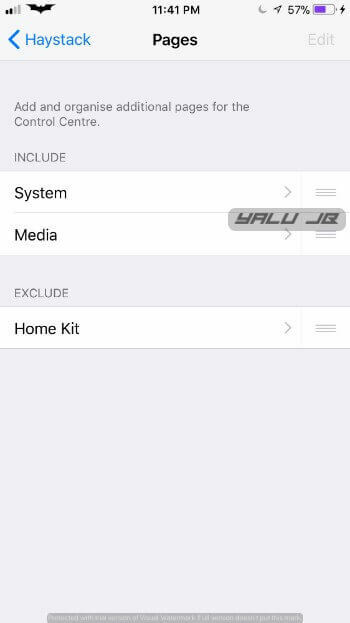 Haystack Cydia tweak turns the stock iOS 11 Control Center into an iOS 10-inspired Control Center. It is developed by eminent tweak developer LaughingQuoll. It looks even better once you enable night mode. 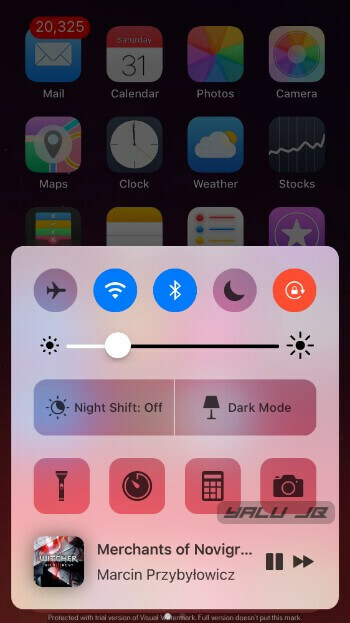 To get this effect, you must have NoctisXI tweak installed on your Apple device beforehand. 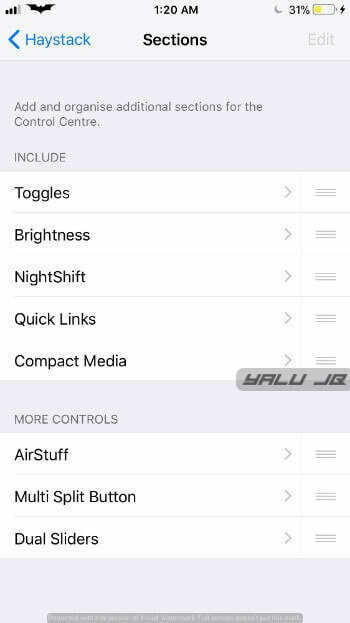 Haystack comes with a comprehensive preferences section, which allows you to tweak each and every aspect of the new Control Center. Here’s how you can set it up. Firstly, you would want to ensure that it is enabled. 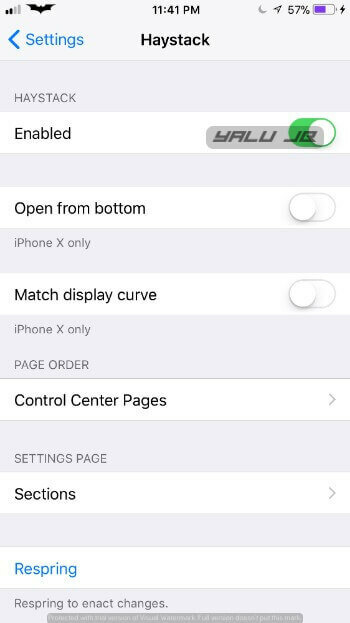 If you have an iPhone X, enable the “Open from Bottom” and “Match display curve” options for better compatibility. The “Pages” section lets you change the order of pages. I suggest leaving it as it is for the best effect. The first page contains the toggles and sliders while the second page has the music controls. The “Sections” section lets you play around with the various modules and reorder them to your liking. I recommend going with this setup as it lets you access music at the tap of a button. Moreover, the presence of system toggles at the top and everything else in the middle really recreates that iOS 10 look. Developed from the ground up, this tweak really doesn’t feel like a port. Haystack feels as if it’s a stock component of iOS 11 firmware. 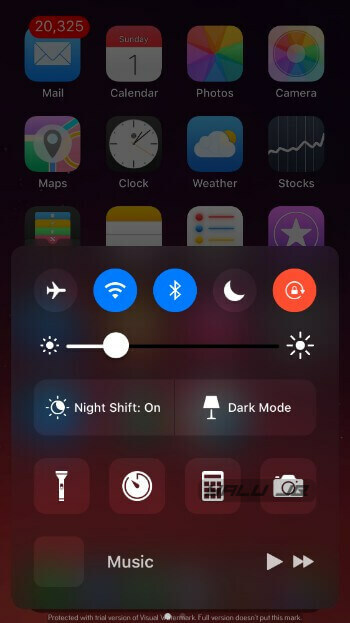 If you are feeling a bit nostalgic or are shooting for a legacy setup, this is the tweak for you. Highly Recommended. Haystack is available for download on Team Creatix’s repo (packix.ioscreatix.com) for $3. It is compatible with iOS 11. Currently, the developer is offering a 25% early bird discount to all users. This discount will not last too long so grab it while you still can! A small white line appears on your screen just as you open the Control Center. Some users are reporting that scrolling is a bit buggy. However, I didn’t experience any bug other than the one mentioned above.